“I was in the City of Chicago when I experienced what felt like a big earthquake. Everyone was very scared and panicked at what was happening. Then I heard in the background the song The Night Chicago Died". I have had this vision twice. 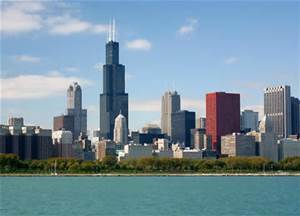 I believethat the City of Chicago will suffer a terrorist attack, an earthquake or a nuclear attack causing devastation in the city. After listening to the lyrics in the song The Night Chicago Died, I can say that this event will take place during a Summer month, and it will take place at night. The year was not revealed to me. We need to pray for that city and be ready to assist them when this happens, and preach the gospel to those that are there now.